How is your SMSF protected in the event of bankruptcy? If you or your business is experiencing financial difficulty and bankruptcy is the likely outcome, you should consider carefully what impact this may have on your self-managed super fund and superannuation accounts before accessing them under any condition fo release. How does bankruptcy affect your SMSF? Should you become an insolvent under administration, such as an undischarged bankrupt or have entered a personal insolvency agreement with your creditors, the super laws consider you to be a ‘disqualified person’. This has ramifications for your self managed super fund because a disqualified person can’t act as, or become, a trustee of an SMSF or a director of an SMSF’s corporate trustee. We know in circumstances like this you may be under a weight of paperwork and pressure but you should take action to preserve what you can. If you’re an existing trustee/director of an SMSF, the best option would be to resign from this role before becoming a “disqualified person”. 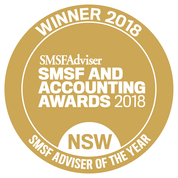 If you don’t, and continue to act in this role, you and your SMSF may be liable for penalties or your SMSF could lose its complying status which would result in lost tax concessions and a harsh tax bill for your fund. You may also be liable for a fine and up to two years’ imprisonment. converting your SMSF to a small APRA fund whereby an “approved trustee” takes over the running of the fund. The best option for you will depend on your particular circumstances such as the investment mix within your fund, the liquidity of the assets in that portfolio as well as the potential capital gains tax payable on realising assets and the wishes of other fund members such as your spouse. 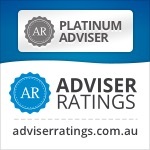 Are your SMSF assets protected? A bankrupt’s entire interest in a regulated super fund is potentially protected from creditors. This protection has a couple of important limitations. Bankruptcy legislation states that a contribution made after 27 July 2006 to a super fund can be ‘clawed back’ if the main purpose was either to prevent the transferred property being available to creditors or to hinder or delay the process of making property available for division among creditors. Under the rules, a transaction is assumed to be made for this purpose if at the time of the transfer, you were, or were about to become, insolvent. It is therefore critical that you make, and keep, records to prove that you’re solvent at the time of making a contribution to prevent your contributions being clawed back. Any transactions that are ‘out of character’ may also be seen to be made for the main purpose of defeating creditors. For example, if you salary sacrificed $1,000 per month for the past 5 years, it would be unlikely that the $1,000 contributed in each of the final months before becoming bankrupt would be considered out of character and clawed back. In contrast, if you made a once-off contribution of $100,000 in the week before declaring bankruptcy, it’s likely you would have to prove why this amount should not be made available to creditors. In the Official Trustee in Bankruptcy v Trevor Newton Small Superannuation Fund Pty Ltd (2001) 114 FCR 160;  FCA 1267, Madgwick J determined that the potential for a payment to a superannuation fund to be caught by the relation back or avoidance provisions of the Act was not excluded by the protection provided to the bankrupt’s interest in a superannuation fund even though such a payment might give rise to an interest in the fund. It could be said that the protection operates in favour of any lawful interest in a regulated superannuation fund. In this case one payment was made by the debtor after the deemed commencement of his bankruptcy and as such was recoverable. This is because the money had already vested in the hands of the bankruptcy trustee and accordingly the debtor did not have the authority to deal with it. The SMSF trustee (keeping in mind it was an SMSF and the bankrupt was a director of the SMSF trustee) was taken to be aware of that lack of authority and therefore did not derive title to the moneys paid. Two earlier payments prior to the commencement of bankruptcy were voidable by reason of the operation of section 121 (transfers to defeat creditors). It assisted this recovery that at the time of both earlier transfers the debtor was or was about to become insolvent, and the superannuation fund trustee (the bankrupt being a director of the SMSF trustee) was also aware of this. In summary an SMSF trustee is unlikely not to know the purposes or intent of the member (or third party) making the contributions. In addition the SMSF trustee is likely to know the solvency or otherwise of the relevant member. A bankruptcy trustee is able to make an application to the Court directly under section 128B or 128C of the Bankruptcy Legislation Amendment (Superannuation Contributions) Act 2007 to recover a void superannuation contribution. In addition, a bankruptcy trustee can request the Official Receiver to issue a notice under section 139ZQ for the recovery of a void contribution on the same basis as these notices are available to recover other void transfers of property. The Act also includes provisions enabling some tracing, by the Court, of superannuation contributions through the superannuation system. This is important particularly where the contribution may have been rolled-over and is no longer in the plan which originally received it. Can you access your Superannuation early because you are a bankrupt? Funds held in and payments made from your superannuation are protected from your creditors under the Bankruptcy Act. In certain limited circumstances you may be able to access your superannuation early, such as severe financial hardship. However, the fact you are bankrupt does not mean that you will automatically be entitled to get early access to your superannuation. Bankruptcy is not on its own a ground for the early release of your super. It is up to your superannuation provider or APRA to decide whether to grant early access to your super and they should be consulted if you believe you have grounds for early release of your funds. If you are granted early access to your super the lump sum payments from your superannuation fund made on or after the date of bankruptcy will be protected from your creditors. What about pension payments? Are they protected? Limits updated twice a year: 20 March and 20 September. Income counted towards these thresholds includes salary and wages, salary sacrifice, fringe benefits from your employer and income which you earn which is paid to someone else. Pension income from a superannuation fund is also counted as income. In contrast, lump sum payments mentioned earlier from your superannuation fund are not counted as income and are protected even if you’re bankrupt. Given this protection in respect to lump sums, it may often be more beneficial to keep your super balance in the “accumulation phase” during the bankruptcy period and only make lump sum withdrawals if additional cash is required. So as you can see while In cases where bankruptcy is unavoidable, most of your assets will be divisible among your creditors, fortunately, your superannuation balance and lump sum withdrawals are generally protected. Taking pre-emptive action and seeking expert advice if you’re facing financial troubles may help protect your Self Managed Super Fund and preserve some of your wealth for retirement. Me on My High Horse! This protection should also act as a solid reason for all business owners to regularly contribute to superannuation throughout their working lives as circumstances can change rapidly. While your business may in your mind be your idea of your retirement savings, it may offer no protection in difficult times so put money away outside of your business structure to protect you and your family. See my blog on Trading Company as SMSF Trustee or Sole Purpose SMSF Trustee Company? To see why you never should use a Trading company. Now back to the issue. Let’s consider the situations where a business has become bankrupt (wound up?) and the court tries to link assets held in the name of the business entity in its/their capacity as Trustee of the SMSF to the bankruptcy action? Who provided the funds for the investment. As I said above seek legal advice on how to word this and do not attempt any half baked efforts from Googling! I have invested my smsf in a small company. That company, now looks like going bankrupt because the director is going through court charges for trafficing drugs. These charges are not related to the company as far as I know. However if he goes to jail the company will collapse. As far as I know there is not enough money in the fund to pay our smsf out. What am I liable for and what advice could you please give. You have a duty as trustee to do your best to recover anything possible from the company but it sounds like that is not going to be much. If your SMSF is Shareholder of that company then it’s liability is limited to the investment amount. Thankfully there is no penalty for making a bad investment as long as you did so with the rules. Ask to speak to the Auditor of your fund and explain what’s happening and they will guide you on what documentation to provide. Don’t try to hide anything and take the auditors advice. So take a big breath, breathe out, relax, you are most likely in no trouble at all except a little wiser for the experience. If you are still really worried call me for a chat. Business owners as you say consider the business as their retirement vehicle which is part of the reason the small business concessions were introduced though given the threat of bankruptcy from unforeseen events it makes a lot of sense to extract wealth from an at risk entity and transfer to a protected one.